AP EAMCET 2018 (आंध्र प्रदेश इंजीनियरिंग, कृषि और चिकित्सा सामान्य प्रवेश परीक्षा): The Andhra Pradesh Engineering, Agriculture & Medical Common Entrance Test will be conducted by Jawaharlal Nehru Technological University, Kakinada. The University will conduct it on behalf of APCHSE. The students can apply online for the AP EAMCET Application Form 2018 on the official website. The forms will be made available in the month of February. The admissions in Engineering, Pharmacy and other courses will be done through this exam. According to AP EAMCET Exam Date 2018, the exam will be conducted in April. The aspirants have to apply online for the AP EAMCET Registrations 2018 on the website for the University. The last date for the submission of the form is in April. The students who will submit the form successfully only they will be considered for the admission process. We will provide here the direct link for the submission of the AP EAMCET Online Form. The aspirants have to follow some precise procedure for the submission of the form. 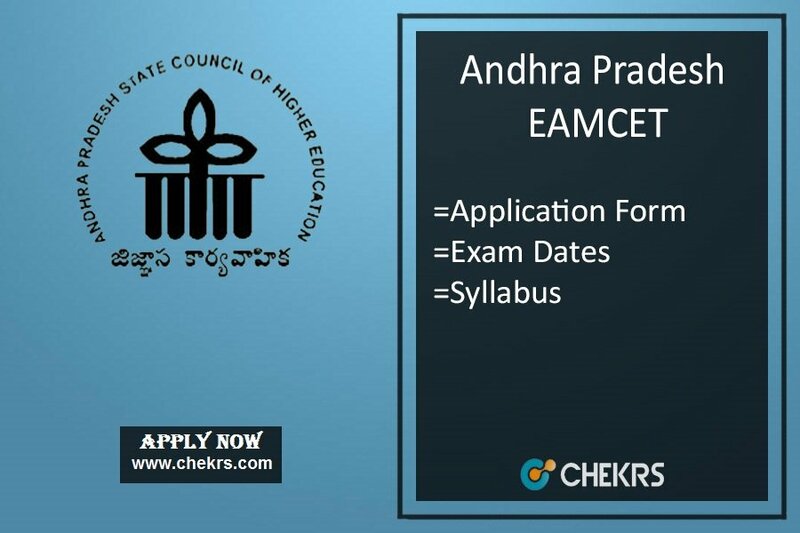 Steps to submit AP EAMCET Online Application 2018. Then they have to click on the AP EAMCET Apply online Link. Start filling the application form with correct details carefully. Attach the scanned copy of documents, photograph and signature along with the form. Also, take a print of the generated form. They must be a Telangana or Andhra Pradesh domicile. They must have passed/ Appearing 12th class from any recognized board. The aspirant must have PCM as compulsory Subjects. Diploma Final Year students can also apply. The aspirants can download the AP EAMCET Syllabus Pdf from the link we have provided here. The syllabus will include the topics from Physics, mathematics, Chemistry, and Zoology subjects of 12th standard. The syllabus is mentioned below topic wise.